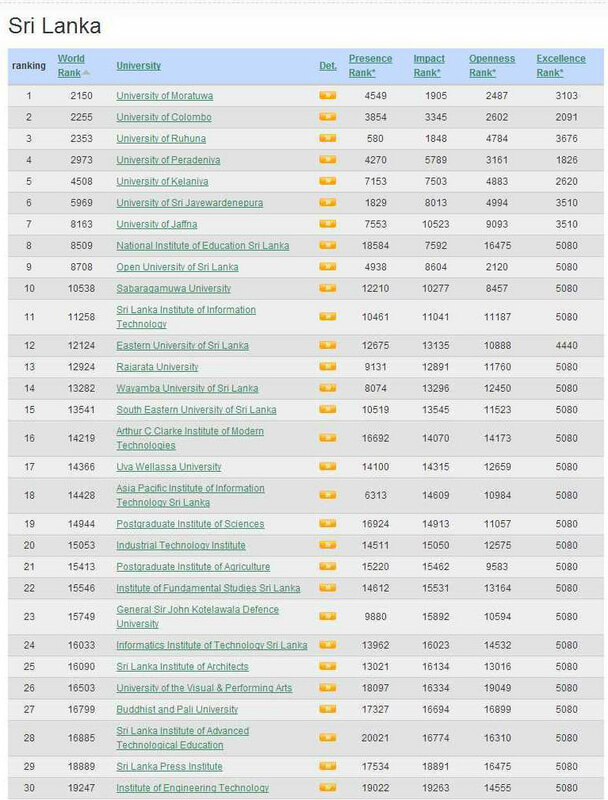 According to the latest Webometrics rankings issued in July 2013, top 30 Universities in Sri Lanka are given below. World ranking of almost all Sri Lankan universities decreased in this ranking compared to 2013 January World University rankings. University of Morattuwa become the best university in Sri Lanka according to this ranking but it’s world ranking decreased from 1970 in January 2013 to 2225 in this ranking. The reason may be that Universities in other parts of the world have improved over this period.